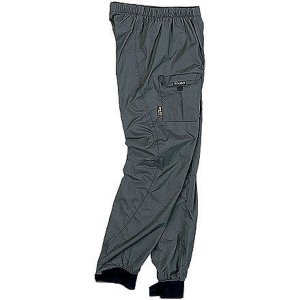 NRS Women's HydroSkin 0.5 Pants - The NRS Women's HydroSkin 0.5 Pants, for lightweight immersion protection. Paddlers depend on the women's HydroSkin Pants to comfortably paddle in the cooler months. An alternative to full wetsuits, mix and match HydroSkin pants with a rashguard, shirt or jacket and embrace the changing conditions. The women's NRS HydroSkin 0.5 pants offer lightweight immersion protection for paddlers looking to extend their season into the cooler months. This immersible base garment stretches for comfort and draws in enough body heat to keep you warm in cool conditions and on cold water. As the fit reduces bulk when you start adding other layers on top, the design prevents seams from chafing and gives you more freedom of movement.. . This product will be shipped directly from NRS and will leave their warehouse in 2-3 business days. Eligible for ground shipping only. . Made out of 0.5mm Terraprene(TM) neoprene, with heat-reflecting titanium to reduce the chill. . Four-way stretch PowerSpan(TM) on the exterior gives you a full range of movement. . ThermalPlush(TM) lining creates a soft feel when the wetsuit is against your skin. . DWR coating sheds water. . Paddler-specific design strategically places seams to avoid irritation and friction. . Snug fit prevents water entry while retaining warmth. . Keep your essentials close in the zippered waistband stash pocket. . Imported. .
For exceptional warmth while paddling or during other active sports. Exclusive HydroSkin fabric provides superior water-shedding, insulating, next-to-the-skin layering technology. Four-way-stretch PowerSpan outer layer with a durable water-resistant coating enhances mobility and provides excellent durability. Superthin 0.5 mm neoprene layer adds insulation. Special fabric coating contains millions of titanium particles that reflect body heat back to you for even more warmth. Soft, ThermalPlush polyester cropped-fleece inner layer keeps you comfortable and retains less water, so it dries quickly. Flatlock stitching adds durability and prevents chafing. High-cut waist with drawcord prevents ride-down while sitting. Imported. Hand wash, line dry. Fit Hydroskin garments are meant to fit snugly next to the skin, similar to a wet suit. 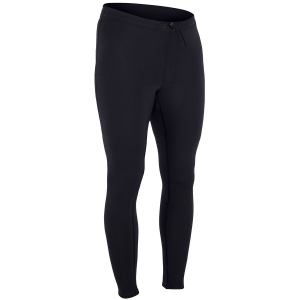 This allows for efficient performance and layering.